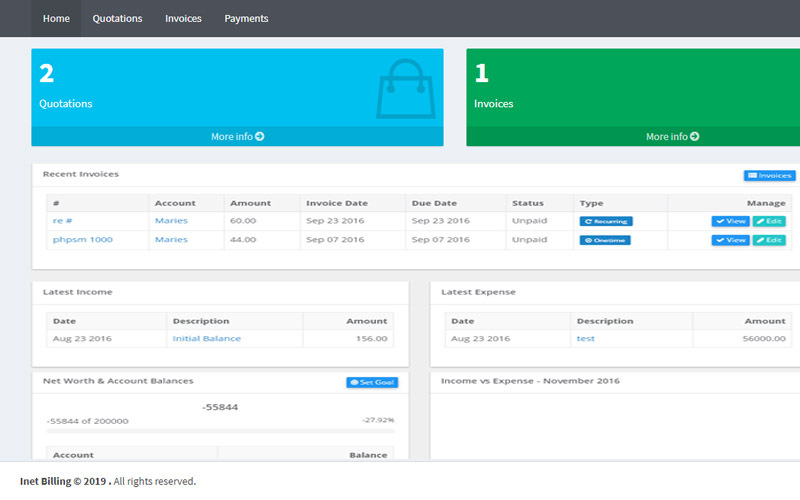 PHP invoice script has very nice interface which makes it very user-friendly. This PDF invoice generator contain very nice features list. Our online invoice generator is based on popular opensource PHP. It is very easy to install and configure according to your requirement. From this PHP Invoice script, you can easily create new customers, manage You don’t need to do any paper work and you just need to follow a few steps and send invoice to your clients. It’s very simple to use. We also provide 1 year of technical support, we also provide free source code updates for 6 months and you don’t have to search and run for improvisation for your website. We will provide you with the full source code upon purchase of the script. Everything is absolutely perfect! The script looks beautiful it is widely customization, well documented. This script is great and the service is even better! Will definitely be buying from PHP Scripts Mall again! I had many doubts, but they solved all of them in an hour. Awesome support truly an awesome script I didn’t regret to buy this script.